As one of Ireland’s largest retail motor groups, we are delighted to be the first Irish car dealer to launch an online sales platform for consumers who want to buy, finance and trade in cars without visiting a sales showroom. The launch of the direct sales channel is a significant milestone for the Irish car industry and a pioneering step forward for Windsor. We sell over 12,000 new and used cars a year across 15 dealerships nationwide with €250 million annual turnover. 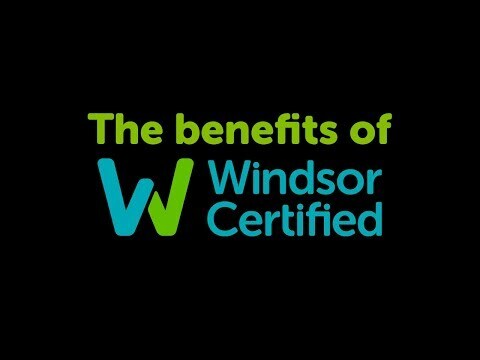 Windsor is an authorised dealer for Nissan, Renault, Dacia, Opel, Peugeot, and Mazda. “Digital is re-shaping the future of car sales and the car showroom as we know it. We are moving with the times and so are our customers. Thousands of motorists are visiting our used cars each day and we have just sold our 100th used car online. This is very reassuring as we move ahead with the development and full roll-out of our online sales platform,” said Peter Nicholson, Managing Director at Windsor. Windsor has invested more than €1 million in the development of its digital infrastructure to complement its traditional showroom sales model. The next step in the evolution of the www.windsor.ie website is to sell new cars online across the authorised new car brand range. “Our research shows that 86% of car buyers do at least half their vehicle research and shopping online and that 42% of buyers are willing to buy their next car online. 70% of buyers are confident to apply for car finance online. It is clear where the car industry is heading and we are responding to what customers want,” said Mr. Nicholson. “Although the old saying that people buy from people still rings true, we have taken a strategic approach to maintaining what customers like about the conventional showroom sales model and combining it with our digital platforms to support advanced online sales.,” he added. “Customers want peace of mind and confidence when buying a car so we have implemented a rigorous certified programme for our used cars to meet their needs. In addition they have the comfort of our rich heritage of over 50 years selling and servicing cars in the Irish market,” he continued. Online customers can also use a configuration tool to determine the Hire Purchase or cash price cost of buying any used car. It allows them to select the features that are important to them in a car and they can also refine their results across the used car range of Nissan, Renault, Dacia, Opel, Peugeot, and Mazda brands represented by Windsor. Welcome to a new way to buy your next car.